NIKE Mercurial Blue Sport’s Shoe Smooth material Polyester with creative style very comfortable rubber coated sole. Brand –NIKE Model-Mercurial sport’s Color- Blue Made by Smooth material Polyester with creative style. Very comfortable for foot for sport’s use. 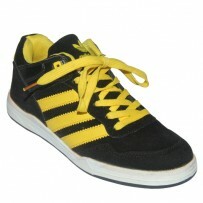 Long lasting material with rubber coated sole for sport’s use. Imported from CHINA.